hoosing to have a procedure, to take action, for weight loss and health is one of the most intimate, personal and according to my patients, wonderfully life-changing decisions you can make. The decision to undergo the non-surgical Orbera gastric balloon, or to undertake an operation - gastric bypass, gastric sleeve, Vbloc, or gastric banding (LapBand), should involve honesty with oneself, careful consideration and meticulous research. Choosing the procedure that meets your needs and the surgeon who will help you maximize your success are decisions that aren't to be taken lightly. The best advice that I can offer to anyone who is considering a weight loss surgery is to educate yourself and embrace an emotional commitment to make a positive change. Being open-minded about your options and taking a honest look at the facts are the first steps toward success and good health. After thoroughly researching the subject, you will be ready to interview surgeons and you will know what you're looking for. Many thin people, and sadly, even doctors, don't recognize that obesity is largely a genetic, metabolic disease, with devastating effects on adults and children. The statistics on gastric bypass surgery show us that a morbidly obese person is almost 10 times more likely to die within five years if they don't undergo the surgery than if they do. It carries less risk than having your gallbladder out. Morbid obesity leads to a 20 year reduction in life span, 400% increase in the risk of diabetes, 75% increase in stroke and 70% increase in coronary artery disease. Obesity is linked to many types of cancer, sexual dysfunction and infertility. Major depression amongst morbidly obese persons has reached 89%. 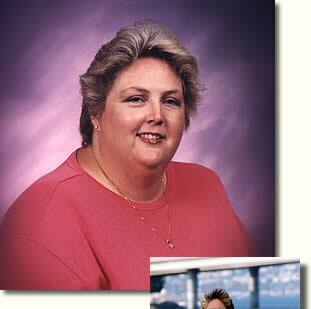 Gastric bypass, sleeve gastrectomy, V-Bloc, the Orbera gastric balloon and gastric banding aren't cosmetic procedures. 90% of patients who have gastric bypass watch their high blood pressure and diabetes go away within about 48 hours and they leave the hospital off of their medications. The weight loss from all of the procedures can make sleep apnea disappear. Low testosterone normalizes. Infertility reverses. Migraines disappear. Cancer risk positively plummets. People experience heightened self-esteem and confidence, which helps many taper off of their anti-depressants. Simply stated, obesity is a lethal disease. Surgery is the ONLY treatment that has been proven to work in the long term for patients with BMI over 35. The Orbera gastric balloon, which works extremely well for those in the slightly lower weight ranges, triples the weight loss compared to diet and exercise alone, thus reducing the risk of developing high blood pressure, diabetes, cancer, etc. These procedures save the lives of people who are going to die from obesity. Differ from the Lap Band? However, weight loss procedures aren't just about statistics. They're about people. My patients tell me that it gave them a second chance at a normal life. They feel like they are better parents, better spouses and more active grandparents. My patients frequently ask me what their life might be like a year or so after their procedure. There is so much to say about this. I could write volumes on the experiences that my patients have shared. In fact, my patients have written their personal stories in the gallery section of the site. It's good stuff. Within a few months of their procedure, my patients tell me that they can't remember ever feeling so good. A year afterward, many are at or below their high school graduation weight, and are fitter than ever before. By this time, my patients have set and met exercise goals like running a marathon, climbing a mountain, taking scuba lessons, playing soccer with their kids, chasing grandkids in the park, and in some cases, bear hunting, skydiving, parasailing… the list is endless. They no longer worry about their limits for vacations – they can go anywhere, do anything, wear anything. They realize what they were missing out on all those years and now that they have a body that can accomplish what the mind wants to do, they are making up for lost time. Previously infertile women are now having children. Those who couldn't imagine enjoying exercise have become personal trainers. A young lady who was turned down for a job before surgery because of her size, reapplied to the same job as a thin, beautiful young woman and was hired on the spot. What's most gratifying to me is when a patient gives me a hug and says, "Thank you for saving my life." The surgical procedures for obesity are widely popular and have become quite commonplace, with 220,000 weight loss surgeries performed in 2008. Surgery is the most effective tool available to treat diabetes in morbidly obese patients and also relieves high blood pressure, sleep apnea, cardiac dysfunction, infertility and sexual dysfunction. But along with the popularity of the procedures comes a price. All surgeons, all programs and all operations are not created equal and do not have equivalent outcomes. Having done your research, when the time comes to evaluate bariatric programs and bariatric surgeons, you will know what to look for and what questions to ask. Choosing the bariatric surgeon and program that are right for you is the most important action on your way to getting your life back. Please take the time to research my credentials. In 2000 I became the first woman to perform the laparoscopic gastric bypass* and I am pleased to report a continued mortality rate of zero.. I have been uniquely fortunate to have been personally trained by both the Grandfather of Bariatric Surgery, who performed the very first open gastric bypass in 1966, and the pioneers of the laparoscopic gastric bypass, who performed the first one right at Alvarado Hospital, in 1993. I operate at Sharp Memorial, Scripps Memorial and Alvarado Hospitals. Through many years of focusing my entire practice on the treatment of patients with weight problems, I've met remarkable people from all walks of life. I applaud their courage and determination and am honored by their willingness to place their trust in me and my skills. I embrace the connections that I have with my patients, as helping them become healthy, active, happier people has enriched my own life immeasurably. Each patient who comes to me needing to lose weight, whether they wish to undergo weight loss surgery or a non-surgical treatment like the Orbera Gastric Balloon, has unique personal and health-related reasons for doing so. It may be to relieve joint pain, diabetes or hypertension or weight related infertility. It may be to save their life for the sake of children and family. It may be that an obese person simply wants the opportunity to have a "normal" life. Please take a moment to read about my patients' individual experiences . Each bariatric surgery story is different, personal and holds a magic all it's own. Having grown up in a family that has been devastated by obesity, I understand the fear and pain that every day brings to an obese person. In my opinion, there's no segment of our population that is more misunderstood and mistreated than obese people. It is also my opinion that while a good doctor provides sound medical treatment, the best treatment starts with a full appreciation of all aspects of the problem, then the doctor treats the whole patient. It's really a matter of combining technical expertise with human insight. My patients have unique medical, physical and emotional needs. Each of these must be addressed, not only by the bariatric surgeon, but by every member of the team and every aspect of the program. This patient focused approach offers individual patients the best opportunity for a lifetime of health and success. My practice is specially designed with the obese patient's needs in mind. I have polished my practice in a focused effort to create a comfortable, hassle-free, and successful environment for every one of my patients, whether they choose a non-surgical approach such as the Orbera gastric balloon, or one of the traditional operations like the gastric bypass or gastric band, or one of the newer operations such as the V-Bloc or the sleeve gastrectomy. There are many factors that play into deciding whether an operation or a simple non-surgical procedure may be the best option for a given patient. It isn't possible to lay out the entire decision tree on a website, as much of the decision making emerges during discussions with each patient. I feel that it is my job to listen to my patients and understand their needs and expectations of weight loss surgery and share with them the details of their medical evaluation. Only then will I be able to conduct an honest discussion with my patients about the risks and benefits of all the options with respect to their specific circumstance. If a patient is a good candidate for a weight loss procedure, and I know that they have made an educated and informed decision, it becomes my job to support them in every way I can and work with them to achieve the best possible success. After perusing this web site, please don't hesitate to contact me . I would be happy to chat with you as well as put you in touch with former patients who are also ready to share their own bariatric surgery stories and weight loss experiences with you. *Refers to private practice only. Excludes cases that may have been performed as part of a surgical training program.